Here at J Davidson, we take great pride in our company’s image. That’s why we put so much time and effort into the way our trucks look – if you live in the area, you’ve probably seen them travelling around as they’re pretty hard to miss. But for our trucks, their beauty isn’t just skin (paint-job!) deep – they’re working hard every day to recycle the scrap metal of Manchester, Cheshire and the surrounding areas. We’ve introduced you to the fleet before, so that you can keep your eyes peeled for a little bit of truckspotting! But today we’ll tell you the story behind the trucks, so that when you do see one out and about, you’ll know exactly what it’s up to! 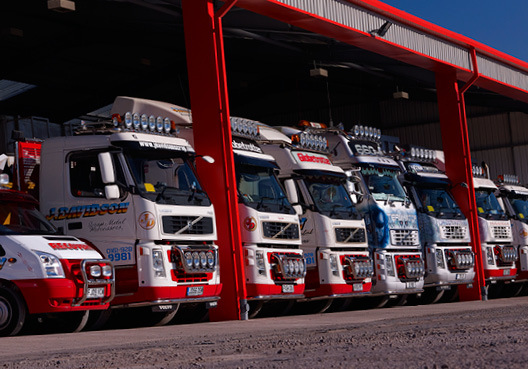 The J Davidson fleet are proud to recycle more than 40,000 tonnes of scrap metal each year – whatever type of scrap metal you need removing, we’ll pay you top prices to take it away and recycle it. We also offer free skip collection for scrap metal. Whether you’re a huge industrial customer or a smaller, commercial business, once we receive a call we then assess the job – depending on the type of metal and the amount to be recycled – and determine which truck to send out. Generally, the bigger the job, the bigger the truck! We also provide a skip hire service to all our industrial and commercial customers – with free collection and delivery. Our famous eye-candy trucks are used to transport roll-on/roll-off skips – huge industrial containers known as ro/ros – to be filled up with metal ready to be scrapped. Once full, the skip will then be collected and transported by one of the fleet, and the metal is ready to be shipped internationally and recycled into whatever is needed next! For the largest of jobs, either our Volvo FH16 ‘Terminator edition’ or I-Spy, our James Bond-themed Scania R730 will be deployed – after all, they are hailed as the heavyweight champions of long-distance haulage! If your poor old car is now all bang and no buck, one of our trucks will come and collect it for you. We operate a free scrap car collection service, not just from your home but anywhere in the North West, wherever you need us. It might not be one of the big boys that arrive, as for this we have our purpose-built Transit pick-ups that are perfect for the job, collecting your old car and scrapping it in a safe and environmentally friendly way. Now you know – it’s not all glitz and glam for our fleet. They’re not always off winning awards at places like Truckfest and international shows like Truckstar – there’s some hard work that goes in too! They’re kept busy by all the cars and scrap metal that need recycling in and around Manchester. Next time you see one of the J Davidson trucks hard at work, you’ll remember… He’s not just a pretty face! Alternatively, if you need one of us to pay you a visit, then give us a call today. This article was posted in Scrap Metal. Bookmark the permalink. Follow comments with the RSS feed for this post.Both comments and trackbacks are closed.